Offers free credit reports, consultations and credit repair programs that help consumers who have negative, inaccurate, outdated or incorrect items on their credit reports repair their credit. The Credit Pros is an Inc.5000 New Jersey-based technology-enabled credit repair organization. Staffed by a team of experienced credit experts, The Credit Pros' helps clients to remove erroneous credit information from consumer credit reports. The Credit Pros offers free credit consultations in order to educate clients on how the credit system works and what proactive measures are needed to improve their credit. 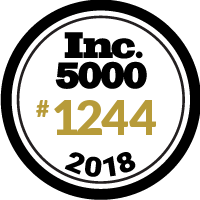 Excited to be the first credit repair company to make the Inc. 5000 4 consecutive years! More growth = more fun = more lives changed! !